An extensive and popular thread here are cap and hat merchandising fixtures. But how would a designer like Gucci market this line? From the included photos, now you know. as a Gucci Gangsta Cap Display. 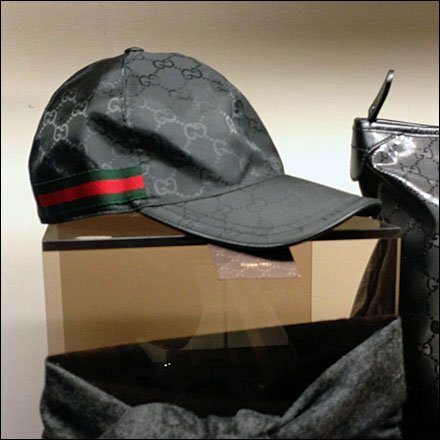 These Gucci Baseball Caps, tone-on-tone black leather with black and red trim can only be merchandised from a clear acrylic pedestal, elevating them above the competition. If you merchandise hats and caps, know that this is the pinacle to which you can aspire. I did try on the Gucci cap, but its just not me. I am neither sophisticated nor “gangsta” enough. Too bad. 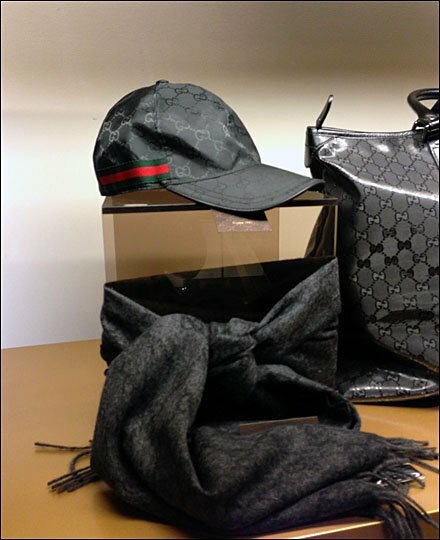 CLICK the thumbnail for a closer look at this Gucci Gangsta Cap Display.